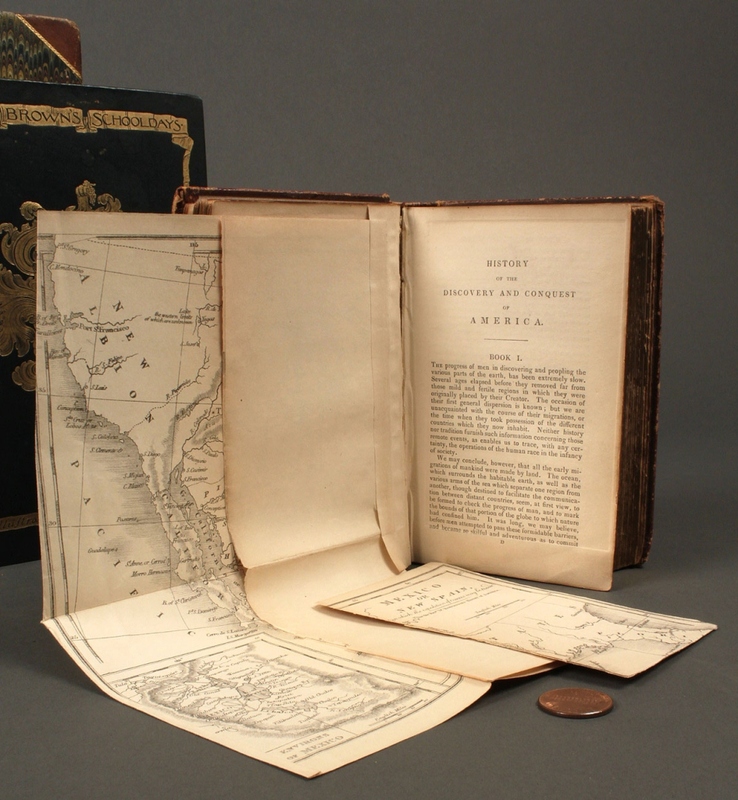 ITEM 1: "The History of the Discovery and Conquest of America" by William Robertson (Halifax, William Milner, 1844) contains a pull-out map as well as illustrations. full leather, embossed. 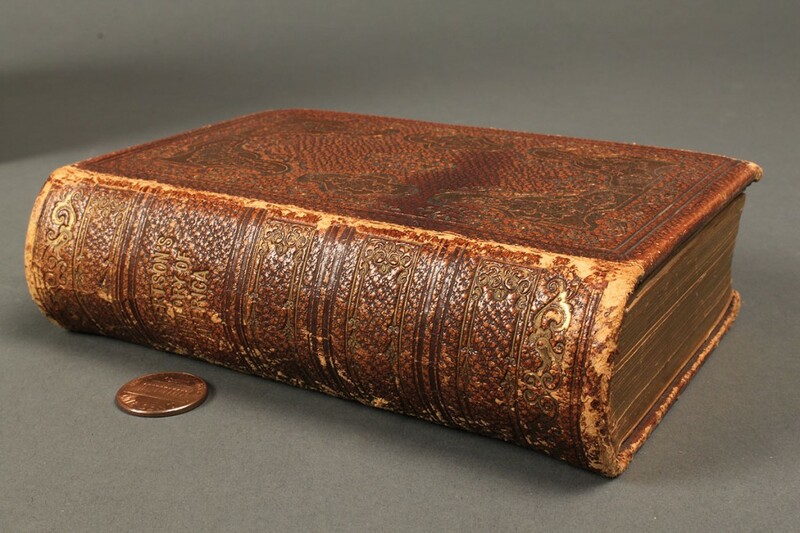 ITEM 2: "Goff's Book of American Constitutions" (New York: Washington Goff, 1859) half leather binding. 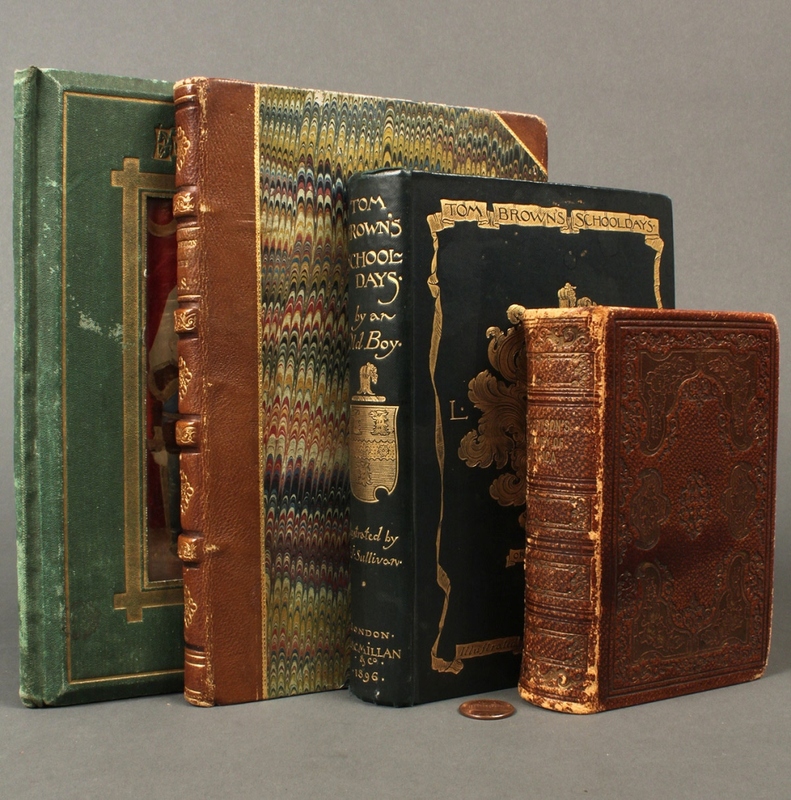 ITEM 3: "Tom Brown's School Days" By An Old Boy, Illustrations by Edmond Sullivan, (London: Macmillian and Co. 1896) with Gilt pages. 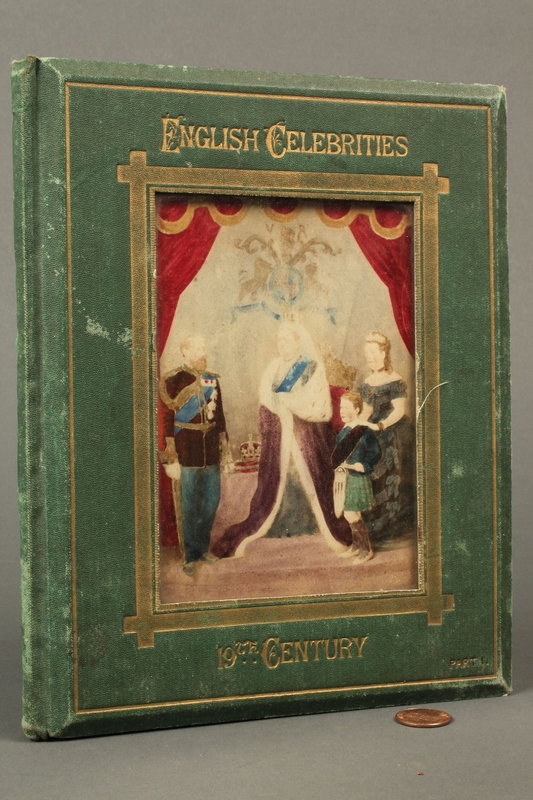 ITEM 4: "English Celebrities, Part I, Orators, Statesmen, Authors, Novelist, Artist, and Philosophers." 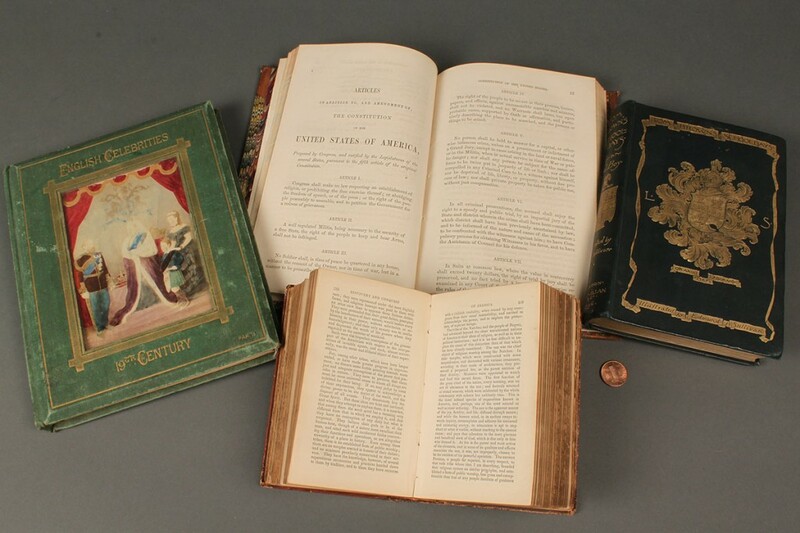 (London: Hughes and Edmonds, 1876) Contains images. Provenance: Estate of A. Welling LaGrone Jr., Nashville, Tenn. Condition: Item 1: Good condition, some wear on binding. Item 2: In very good condition. Item 3: In very good condition: Item 4: Loose in spine, but very good condition.